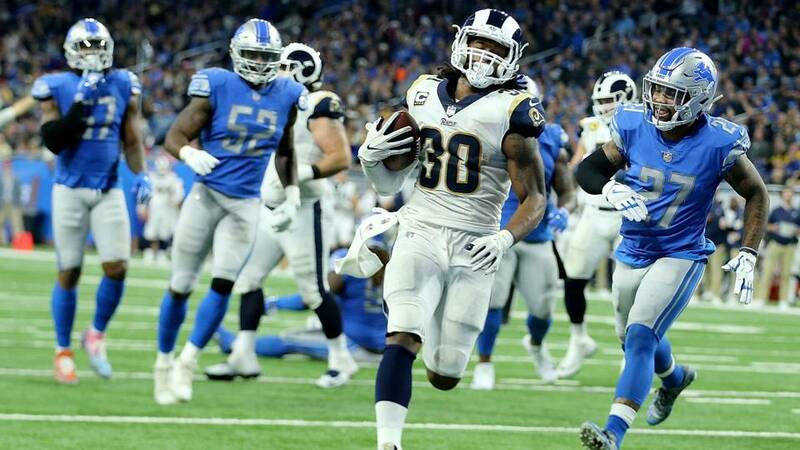 DETROIT, Michigan — Todd Gurley ran for 132 yards and two touchdowns to help the Los Angeles Rams overcome a sputtering start to beat the Detroit Lions 30-16 Sunday and clinch the NFC West title for a second straight season. 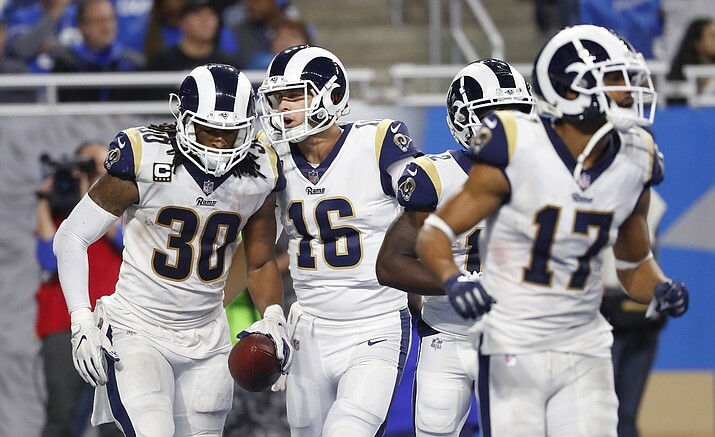 The Rams (11-1) also moved a step closer to earning home-field advantage in the NFC playoffs, taking a one-game lead over New Orleans after it lost to Dallas on Thursday night. It is a cushion Los Angeles needs because its only loss was against the Saints last month. 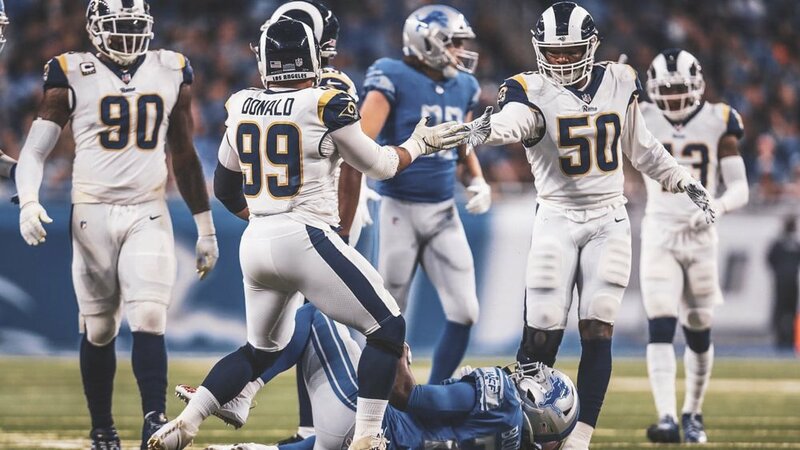 Aaron Donald helped seal the win by forcing Matthew Stafford to fumble midway through the fourth quarter. The star defensive tackle had two strip-sacks in his last game on Nov. 19, a 54-51 win over Kansas City. Jared Goff, perhaps rusty coming off a bye week, was off the mark on many passes and lost a fumble to help keep the game close. His lackluster performance led to Los Angeles settling for Greg Zuerlein kicking three field goals. Goff was 17 of 33 for 207 yards with a tie-breaking 8-yard touchdown pass to Robert Woods late in the second quarter. Goff also threw an interception on an overthrown pass in the second quarter and lost a fumble in the third period. The Rams were able to lean on Gurley, who has a single-season franchise record with 15 rushing touchdowns. The standout running back also caught three passes for 33 yards. Stafford was 20 of 33 yards for 245 yards with an 11-yard touchdown pass to tackle Taylor Decker, who faked the Rams out by blocking for a moment before releasing into the flat, where he was wide open. Decker's touchdown pulled Detroit within three points late in the third quarter. The Lions had a chance to cut the deficit to three again late in the game, but Kenny Golladay couldn't get both feet in the end zone on a pass from Stafford. They had settle for Matt Prater's third field goal. Gurley converted a third down on the ensuing drive and after breaking free, he chose not to score to run more time off the clock and force Detroit to take timeouts. It proved a good move because Gurley ran for a 2-yard score with 1:54 left. The Lions' final drive that ended with Troy Hill intercepting a pass in the end zone with 12 seconds left.